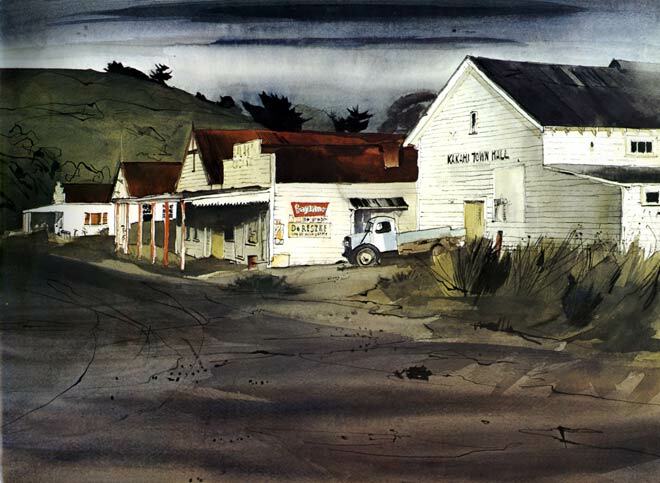 Peter McIntyre, who was New Zealand's official war artist during the Second World War, had a holiday home in Kākahi and produced a number of paintings of the settlement and the wider area. They were reproduced in his 1972 book Kakahi New Zealand. This is Kākahi's main street, Waitea Branch Road, at dawn.